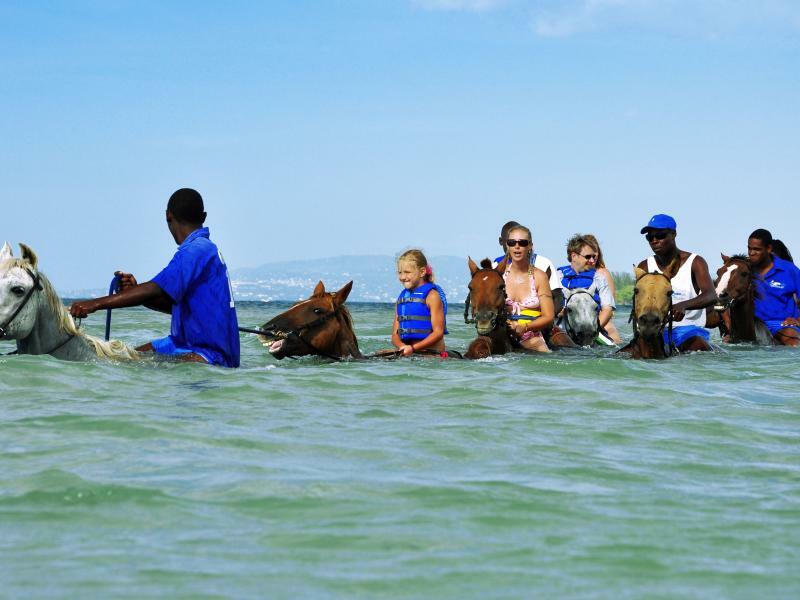 If the idea of traveling with the whole gang seems daunting or undoable, look no further than Jamaica for a fantastic family escape everyone will love. The island’s exotic aura, dreamy sunsets, and delicious Daiquiris have long drawn lovers in search of renewed romance and crews in the mood for carousing, but the real beauty of “The Rock” lies in that there’s indeed something for every kind of traveler here — not the least of which, families. With its lush, stirring vistas and diverse topography — from the breathtaking Blue Mountains to the velvety bays of Buff and beyond — Jamaica is home to incredible wild and marine life. Cruise through the braided mangroves of the Black River and see who can count the most crocodiles, safari style. In beautiful Montego Bay, enter an avian Eden at the Rocklands Bird Sanctuary, home to thousands of native and migrant species. The Red-Billed Streamertail and Jamaican mango are so tame that they may even come to feed on a bottle or perch on pudgy, little fingers. For a more active afternoon, explore the countryside from horseback on a ‘Ride N’ Swim,’ and cool off with your charge in the lapis waters of the Caribbean — a fun to-do for both beginner and seasoned riders! 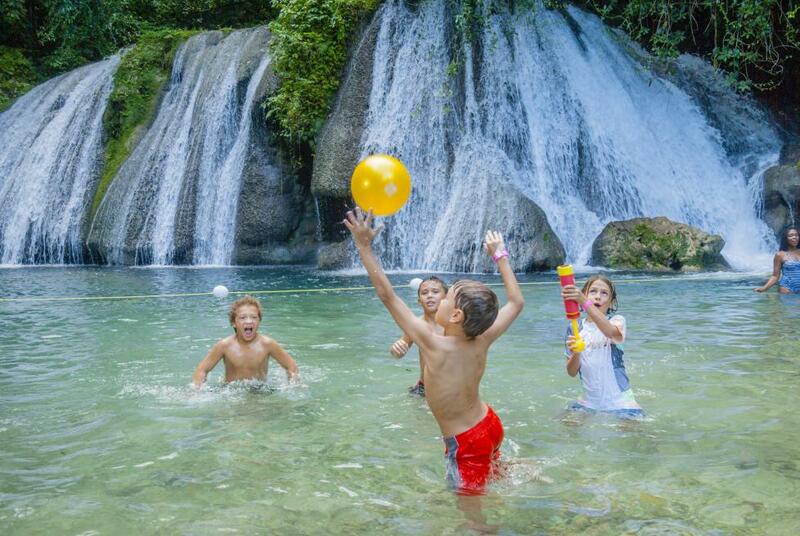 Adventure abounds across Jamaica’s mountains, valleys, and coastlines. 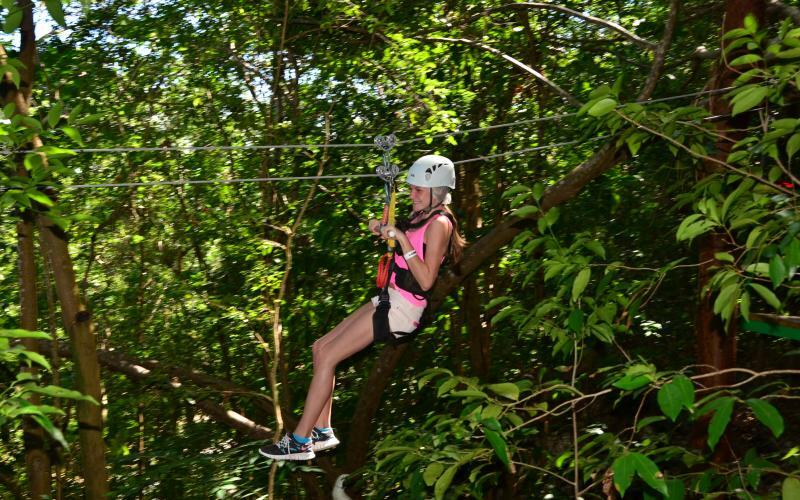 For the bold brood, dare to drop in on Ocho Rios’ Mystic Mountain. Race bobsleds down into the rainforest, take flight through the treetops on a canopy zip line, or watch the world slowly pass you by at the belly of mystical Dunn’s River Waterfalls. Once you’ve caught your breath, consider exploring the other side of the island in Little London. Just thirty minutes east of Negril, ATV action — over craggy hills and sandy shores — awaits at Jamwest Motorsports and Adventure Park. Curious minds, young and old, will love that Jamaica’s marvels are both entertaining and educational. Where better to jam here than at the Bob Marley Museum? Mirroring Marley’s footsteps through his home and recording studio, you’ll understand the impact the musician&apos;s voice and creative genius had on the world. Stimulate the senses and mold your youngster’s respect for the legend of reggae early. The Jamaican calendar is ripe with festivals year-round — an excellent way to experience her vibrant culture and warm people. In March, the skies play stage to kaleidoscopic wonders during the St. Ann Kite Festival — always a big hit for the little ones. Hungry for history and the real flavors of Jamaica? Plan a visit around August’s Mobay Jerk Festival and delight in delicious tradition. Good food, great fun. While each parish offers its fair share of fabulous all-inclusive resorts that enchant and entertain, what&apos;s not-to-be-missed lies beyond the hotel gates. Put down your poolside Planter’s Punch (or fresh-squeezed pineapple juice for the underaged), pack up the snacks and sunscreen, and set off towards the gems of Jamaica that, we promise, will wow all ages.